When we say that Fisher Mechanical, Inc. goes above and beyond to take care of our customers, we mean it. Among the local leading Warrington plumber and heating contractor service providers, it is easy to see why. We respect each of our clients and their home, which is why we leave it looking as good as how we found it, if not better. We also offer industry leading maintenance plans and warranties, so contact us today to get started. Lack of maintenance and dirty filters are two common reasons heating systems stop working, even though both of these issues are rather easily avoided. No noise is an acceptable noise when it comes to your HVAC system. This is especially true if you notice a new sound that wasn't there before. Furnaces don't lose effectiveness over time. 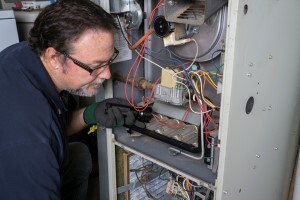 If your system doesn't heat like it once did, get a tune-up and let a professional address any existing repair needs you may have.